Netafim driplines are the industry’s most advanced drip irrigation products available. Ideal for row crop irrigation, Netafim driplines provide growers with efficient, money-saving tools to better manage specific water and nutrient requirements. By Eye-Grain Aps based in Herlev, DENMARK. 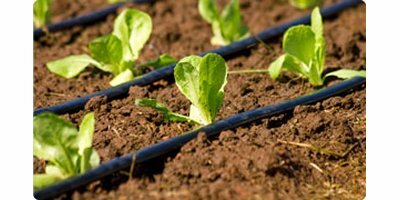 Irrigation Systems: PPP-Soluble Fertilizers are used for high value crops specifically for irrigated systems. They ensure efficient use of fertilizers, thus considerably enhance agricultural productivity and reduce water consumption. These fertilizers are well-suited to new micro-irrigation and sprinkler systems. Disc Ridge is used for making irrigation banks, for effective control of flood irrigation or bunds of the size and shape to match crop and soil conditions. It makes bunds for efficient use of irrigation water. 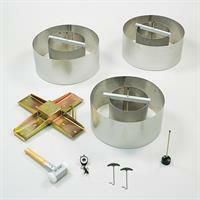 The Discs are adjustable along the frame to vary bund width and height. The Disc angle is also adjustable. By Lahore Agro Farm Industries. based in Lahore, PAKISTAN. 3 section compact roller used for sowing preparation , sowing and rolling of winter crops. Roller also can use behind discharrows. After Usage of roller ; Better seeding quality Better germination of plants Upgrates the efficiency Lower water consumption Reduces land erosion. By Shandong Joyance Intelligence Technology Co., Ltd. based in Shandong , CHINA. By Smart Farmers based in Gent, BELGIUM. Kaiima’s EP™ technology opens a new and exciting gateway for genetic improvement while maintaining the essence of high-value germplasm. In addition to increasing yields, EP™ technology also strengthens the crops’ tolerance to biotic and abiotic stresses and improves land and water-use efficiencies. By Kaiima Bio-Agritech, Ltd based in Lower Galilee, ISRAEL. By Midwest Bio-Systems based in Tampico, ILLINOIS (USA).